AMMONNEWS - Spain on Tuesday strongly condemned the terrorist attack in cities of Fuhais and Salt, which targeted a security patrol and a residential building. 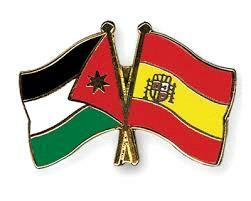 In a statement issued by the Spanish embassy in Amman, the Spanish government expressed its absolute solidarity with Jordan in its fight against terrorism. Spain also reaffirmed its support for all measures Jordan takes to maintain its security and stability, saying Jordan is a key partner in the region and an example of moderation and plays a leading role in combating terrorism.